Soleira & Santari Green (founders of the Visionary Network) will be back in Melbourne this September - October for more life- and world-changing courses and events. Join the Melbourne Visionary Network super crew in creating breakthroughs for yourself and the world while having the time of your life with amazing people up to wonderful things! We work as a quantum collective creating the consciousness of a brand new, super connected world. We do this in what we call collaborative genius fusion, with each person bringing their own unique genius and vastness to create the New together. Learn how to be your vastest, unique being collaborating in collective consciousness to source a future beyond imagining for us all. We're experiencing a shift in our collective consciousness, willing to live more on the edge, to take risks, to question social paradigms and to create something new from all of that. The question is always 'So what is next?'. Explore the changes that are facing all of us and how you can impact the emergence of the new us in your life and throughout the world. Two days of mega consciousness creation by our wonderful collective of genius creators. For grads only. For more information on these events or to reserve a space, contact Nancy Serpless at 0425 713 419. Payment can be made by cash, cheque or Pay Pal. Venues in the Hampton / Beaumaris area to be announced shortly. My passion is to awaken within myself and others the greater being that we are, so that we can create our singular and collective reality from this joyful, conscious place. I've helped build a wonderful, conscious, visionary community here in Melbourne. Want to join us? Get in touch with me at Nancy. The Visionary Network Australia is sourced by Nancy Serpless and Andriana Natterer. They host teleclasses, workshops, special events and regular bi-monthly get togethers. 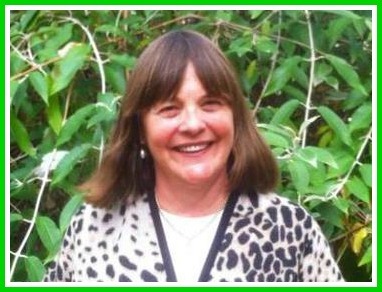 Listen to this introduction call with Nancy and Soleira talking about the Visionary Network's work around energy, consciousness, vibrational frequency and living super connected. To listen now, click Download File or right click to save it to listen later. Listen to this great radio interview of Nancy & Andriana with Santari Green talking about their work. To listen now, click Download File or right click to save it to listen later. In Melbourne, we regularly host bi-monthly get-togethers for Visionary Network graduates to energise everyone's passions and visions and to do consciousness work together, People new to our work are welcome to join us anytime. ﻿Our bi-monthly get togethers are the 1st & 3rd Saturdays of every month at The Surrey Hills Neighbourhood Community Centre, 157 Union Rd, Surrey Hills. ﻿We meet 10:30 am till 12:30 pm and have coffee before and lunch after (for those that want to) at a fabulous local cafe. There is a small fee for attending to cover venue costs. We welcome new people to join the Visionary Network and there are a variety of wonderful ways to do that, so start connecting with us now by getting in touch with Nancy in Melbourne by emailing or by phoning 0425 713 419.